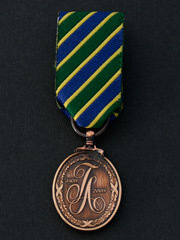 Miniature medal to celebrate 100 years of the Territorial Army 1908 - 2008. 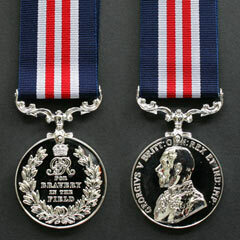 First World War British miniature medal group. 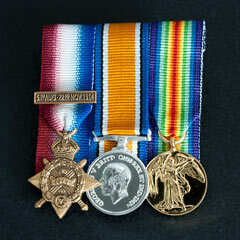 Comprises a trio of 1914 Star with Aug-Nov Mons bar, War Medal and Victory Medal. 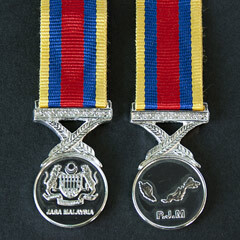 Awarded by the Malaysian Government to British and Commonwealth armed forces in Malaysia and Singapore. 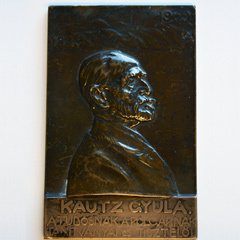 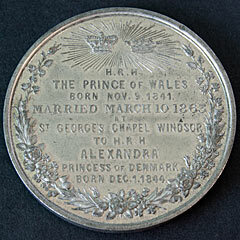 Copy medal of the Military Medal -MM, with George 5th Uncrowned Bust (1916-1930). 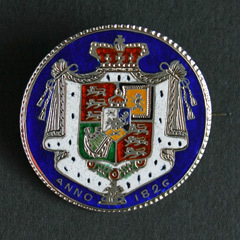 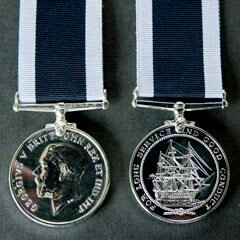 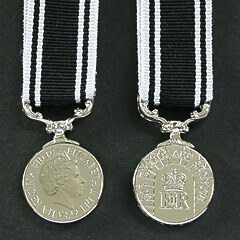 Miniature medal of the Prison Service Long Service and Good Conduct with Elizabeth 2nd bust. 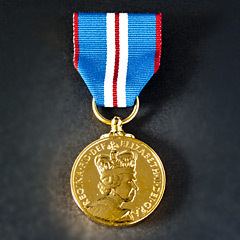 For Exemplary Service. 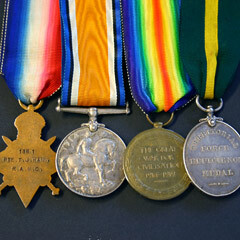 First World War 3 medal group, 1914 Aug-Nov Star, 1914-18 War Medal and Victory Medal with Christmas 1914 brass tin. 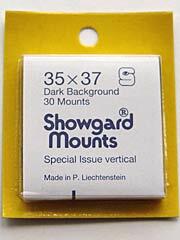 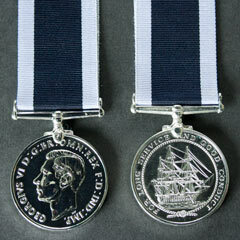 High quality copy medal of the 2002 Golden Jubilee medal, excellent replacement. 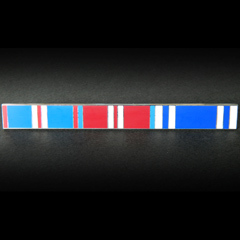 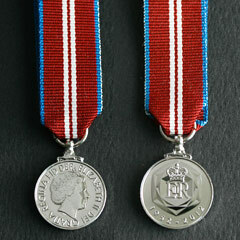 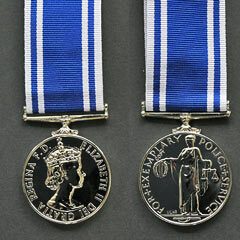 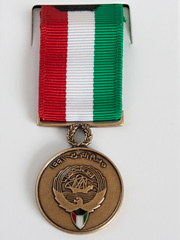 2012 Queen Elizabeth II Diamond Jubilee Medal Ribbon, awarded to those who have completed five full calendar years of service on 6 February 2012. 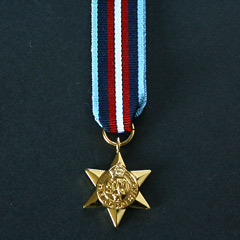 Arctic Convoy Star first awarded in 2013 retrospectively for war Service from 3 September 1939 to 8 May 1945. 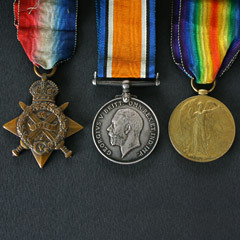 First World War trio group, 1914-15 Star, 1914-18 War Medal and Victory Medal with a George 5th Territorial Force Efficiency Medal. 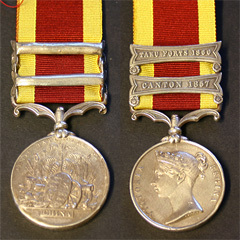 2nd China War Medal 1857-1860 with 2nd type ribbon. 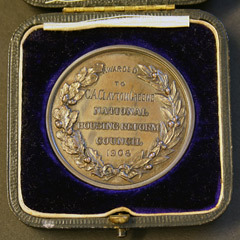 Awarded to S.Pulham 1861-2 of the 99th Regiment with 2 clasps. 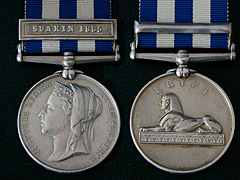 Awarded to 5936 Private H.Clay of the Medical Service Corps this Egypt Medal 1882-1889 has the Suakin 1885 Expedition Clasp.